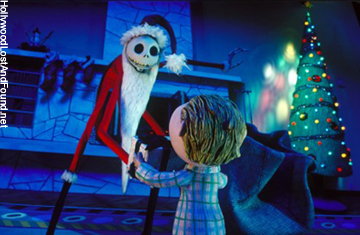 "The Nightmare Before Christmas" (1993) Of course I recommended it for Halloween already. I say just leave the DVD out until December's over. 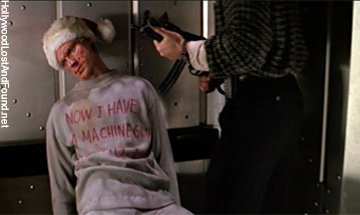 "Die Hard" (1988) "Now I have a machine gun. Ho ho ho." But I'll bet what he really wanted was a Red Rider BB Gun. 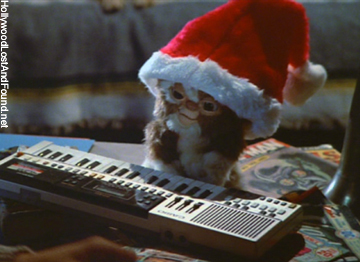 "Gremlins" (1984) Gizmo, the cute fuzzball that spawned the film's nasty title creatures, was Billy's Christmas present. Let that be a lesson to all of us while we're shopping. "Kiss Kiss Bang Bang" (2005) has very little to do with Christmas, aside from a Christmas party with a Gothic tone that was filmed at writer/director Shane Black's house in Hancock Park. But it's a fun, stylish film. And I wanted an excuse to post this picture of Michelle Monaghan. 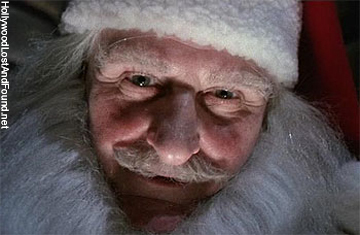 "Brazil" (1985) Probably one of the most brilliant and depressing movies ever... and one of my favorite Christmas movies. 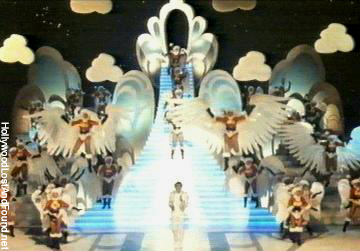 "Monty Python's The Meaning of Life" (1983) "It's Christmas in Heaven, there's great films on TV... 'The Sound of Music' twice an hour, and 'Jaws' One, Two, and Three!" There seems to be no shortage of stories about corporate-owned movie studios abandoning pieces of their history. Here's a new one that I have real mixed feeling about... but I'm holding complete judgment until more information comes in. It was reported recently in the Los Angeles Times and London's Guardian that NBC Universal is planning a $3 Billion, 391 acre development project that would create a new neighborhood with 2,900 homes and apartment units, as well as production facilities, restaurants, stores, and a hotel. Improvements and upgrades would be made to the existing studio tour and the Universal CityWalk entertainment complex as well. The project would create 17,000 construction jobs, and add 11,000 permanent jobs. I'm all for creating new jobs and making more opportunities for people, especially in the entertainment community. But there's a big part of this story that I don't think is getting enough attention. Many historic exterior sets on 124 acres of the Universal back lot stand in the way of this proposed development. Although some reports suggest they plan to relocate them, I seriously doubt that all of them will survive. 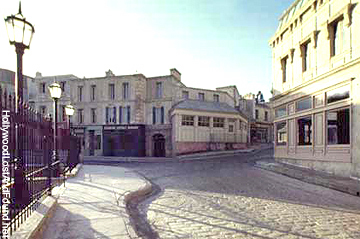 One of the locations that has been put on notice is European Street, which has been seen in countless movies and television shows. It's where almost all the classic Universal monsters have terrorized villagers, in films such as "Frankenstein," "Dracula," and "The Invisible Man." Also on Universal's endangered list is Colonial Street. Although the Munsters, the Cleavers, Marcus Welby and Jimmy Stewart's giant rabbit Harvey all lived there, Colonial Street is probably best known at the moment as Wisteria Lane - home of the "Desperate Housewives." I doubt a day goes by where it's not seen on TV somewhere. 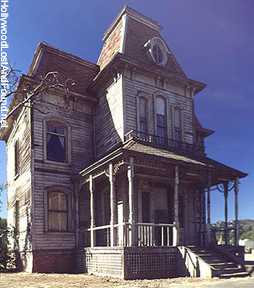 And probably the most recognizable of all the locations threatened by the development would be the house from Alfred Hitchcock's classic "Psycho." It's no secret that most film sets are usually only temporary, empty shells that only represent what is needed to be seen, and not built to last. But these have become mainstays of not only the movie makers who use all the diverse locations for their shows, but the many tourists who visit specifically to see the historic sites where their screen favorites were filmed. Absolutely no details of how they intend to "move" these sets has been disclosed yet - one can only speculate. The Psycho house could likely be moved successfully. Some of the Colonial Street houses could be relocated as well, but many were moved once already (having been displaced by the construction of Amblin', Steven Spielberg's production offices) and I have a feeling they may not fare as well. And I seriously doubt that the European Street facades, with their mostly plaster and cobblestone construction, would hold together when uprooted. This plan is not yet final, of course - and would not happen immediately. According to reports, Universal will be filing their applications with the city and county of Los Angeles early next year, and the approval process could take more than two years. The entire redevelopment is planned for over the course of 25 years. Local residents are concerned about the negative impact on the existing communities nearby, especially with increased traffic in an already congested area. The studio has already reached out to public officials and homeowner groups, although some are still waiting for more details before forming their opinion. Hopefully, preservation concerns will be addressed in the near future. Perhaps a compromise can be reached with everyone satisfied enough with the results. Time will tell, and we'll keep an eye on it.